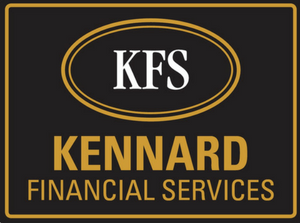 Lawrence P. Kennard, CFP® is President of Kennard Financial Services. Larry grew up in Bedford, Ohio and graduated from Bedford High School in 1964. He enrolled at John Carroll University where he graduated in 1968 with a Bachelor of Science in Business Administration (B.S.B.A.). Larry was both Junior and Senior Class President, appeared on the Dean’s List and was recognized in “Who’s Who in American Colleges and Universities”. Upon graduation, Larry began teaching high school math at Padua Franciscan High School in Parma, Ohio. Larry is an active alumnus of John Carroll University where he served on the National Alumni Board of Directors for 7 years. Larry received the Alumni Service Award from John Carroll University in 2003. Larry was inducted into the Bedford High School Distinguished Alumni Hall of Fame in 1998. Larry entered the financial services industry in 1974. He has been a registered representative of the independent broker/dealer firm of SA Stone Wealth Management Inc. (formally WRP Investments and Sterne Agee) since 1979, and manages the branch office location in Garfield Heights. Larry received the certification of Certified Financial Planner ™ in 1981. He is an active member of the Northeast Ohio Chapter of the Financial Planning Association, serving as past vice-president. He has published numerous articles on insurance, investments, and financial planning. Larry is Vice-President of The Woods Neighborhood Home Owners Association, where he lives. He is an active member of St. Basil the Great Catholic Church in Brecksville where he serves on the parish finance council, and is a Eucharistic minister. He and his wife Mary live in Richfield and have four children and seven grandchildren.